This is a retro speckled black 15 oz. campfire stoneware mug. Handwash only please. 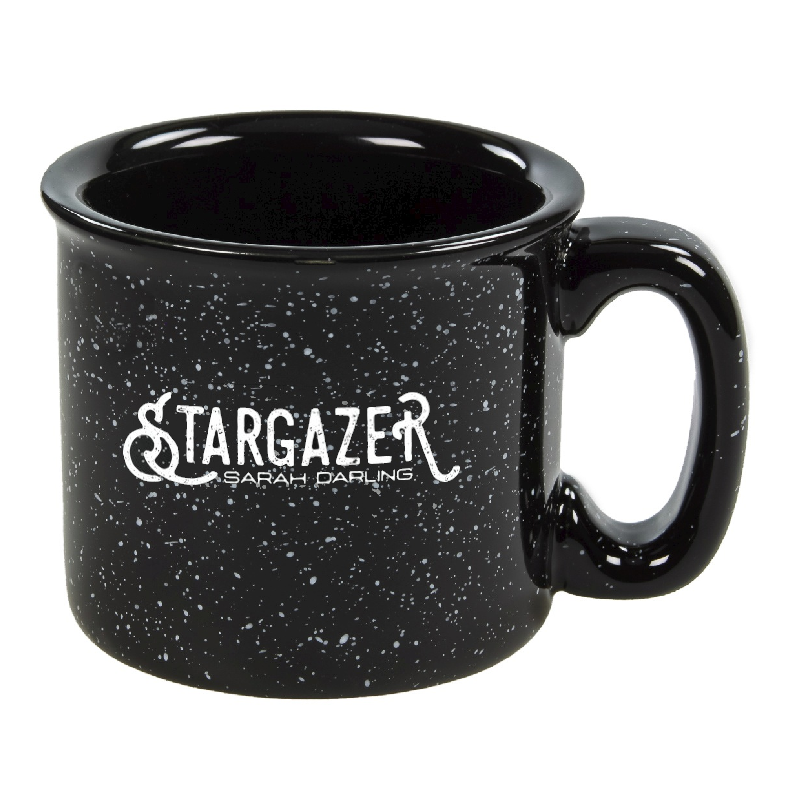 Stargazer logo printed on both sides.